When American historian Hiram Bingham rediscovered the lost city of Machu Picchu in 1911, little could he have imagined that just over a century later, more than a million people would visit the site each year. Yes, that’s how popular the ancient Inca city has become as a travel must-see-in-my-lifetime favourite—so much so that in 2016 the government of Peru began imposing a maximum of 3,267 tickets for morning visits and 2,673 for afternoon ones. While many people choose a day visit—via a combination of train and bus from ancient Cusco to the village at the base of the city, Aguas Calientes—thousands of others trek one of the traditional and ancient trails that wind through the spectacular Andes Mountains to the mystical site. The most well-known of these is the iconic Inca Trail, but it’s by no means the only one! 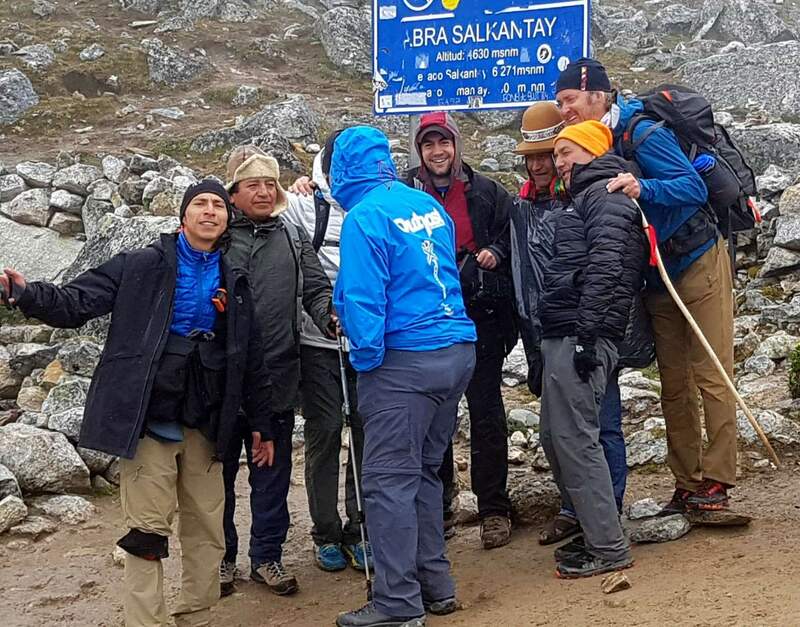 The fact that Salkantay is less well-known than the Inca Trail means fewer people trek it—but the rewards are possibly greater because of it. This tour begins with a visit to the archaeological sites of Pisaq and Ancasmarca; afterwards, you can visit traditional weavers in the village of Choquecancha, or enjoy an Andean trek around turquoise lakes to the village of Huacahuasi. You will hike the Sacred Valley to Ollantaytambo, the oldest-living city in Latin America, or trek an Incan trail to the town of Totora. And then do what Mountain Lodges refers to as an “acclimatization hike” to Lake Humantay. 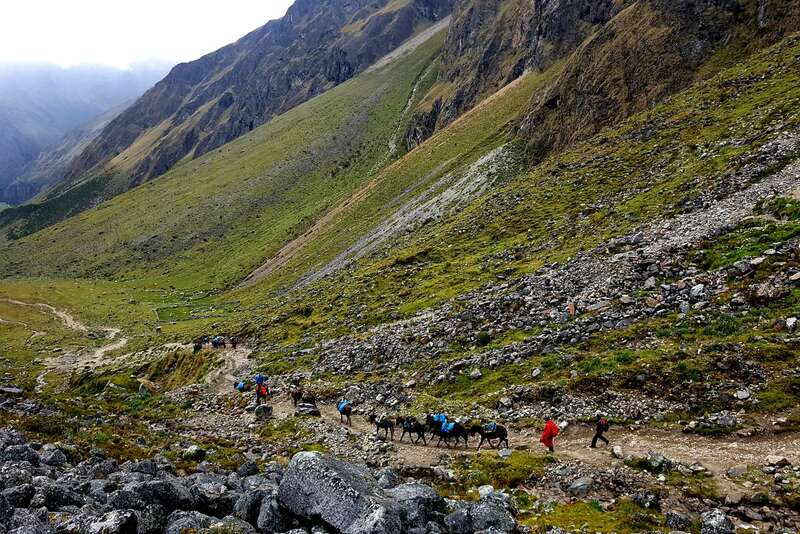 Eventually you’ll cross the 4,638-metre-high Salkantay Pass, with its spectacular and sweeping Andean views of the Vilcabamba Range, and follow the Salkantay River and Santa Teresa River Valley through banana and avocado orchards, and coffee plantations—all before joining the Inca Trail. You get your first distant glimpse of Machu Picchu from a 2,736-metre-high pass, before arriving at the site and exploring the unforgettable lost city. 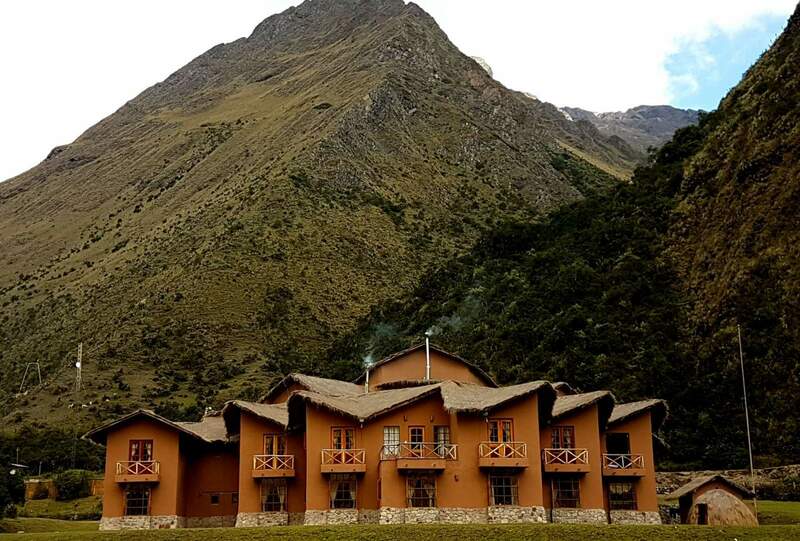 One of the MLP lodges of the Salkantay: rustic charm, starry Andean skies, modern amenities, great food! 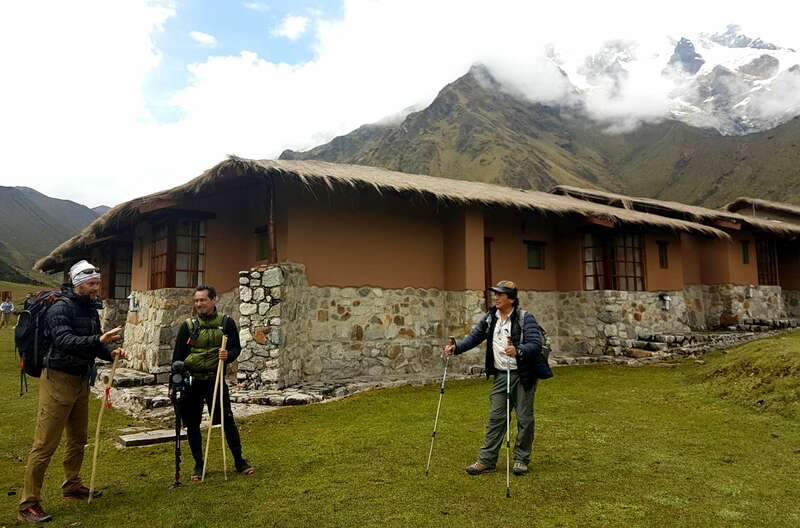 The tour is led by experienced guides and all accommodations are in welcoming high mountain lodges, often with Jacuzzis and always gourmet food: the perfect way to end a great day of exertion and exploration.